Timely diagnosis of diabetes mellitus allows to avoid serious complications and systematically keep your blood sugar at a stable level. In the initial stage of the disease symptoms of diabetes can wear a slight character, and the patient can write them off as General malaise. Blood sugar levels allows you to make an accurate diagnosis at the earliest stages of diabetes. - syrup or glucose tablets. If you are constantly or periodically feel the dry mouth, increased thirst, weakness, often suffer from colds or have problems with the skin, then you need to go to therapist and get tested for diabetes. Accurate diagnosis of diabetes is the blood sugar level, which is leased on an empty stomach and with subsequent so-called "load", consisting in reception of glucose or sugar syrup with the subsequent repeated analysis. The doctor will provide a prescription to the laboratory for analysis of blood sugar levels. Come for a blood test early in the morning, strictly on an empty stomach. Do not eat before the analysis of tea, coffee, juices, fruit drinks. Possibly even exclude the use of water. On the eve of the analysis follow the diet during the day. Exclude from the diet of fatty, fried foods, sweet drinks, fruit, do not drink alcoholic beverages and do not smoke. This allows to obtain more reliable test results. The first analysis you'll get from Vienna. Then, if the doctor has written out a direction on analyses with the load, you need to take 100 g of glucose tablets or syrup. After 1.5-2 hours after ingestion of glucose you take out a second analysis. Normal indicators of a blood test with load is the sugar level to 7.8 mmol/L. If the results of the sugar level exceeds this amount, but not greater than 11.1 mmol/l – you make a diagnosis of pre-diabetes. A blood sugar level exceeding 11.1 mmol/l is diabetes. And prediabetes and diabetes requires an adjustment of the sugar level, which is prescribed by a doctor-endocrinologist. You will prescribe medicines, re-examination, diet with counting calories and carbohydrates. In the presence of pre-diabetes and diabetes, the doctor will put you on outpatient records. You must comply with all recommendations of the doctor to undergo re-examination and measure the sugar levels at home by using glucometer. Analysis of blood for sugar , you have to regularly pass everyone, even if you feel well, and you have no health problems. If you have a constant thirst to urgently donate blood for sugar. Wary and clinical symptoms such as General fatigue, weakness, malaise, dry mouth,itchy skin. 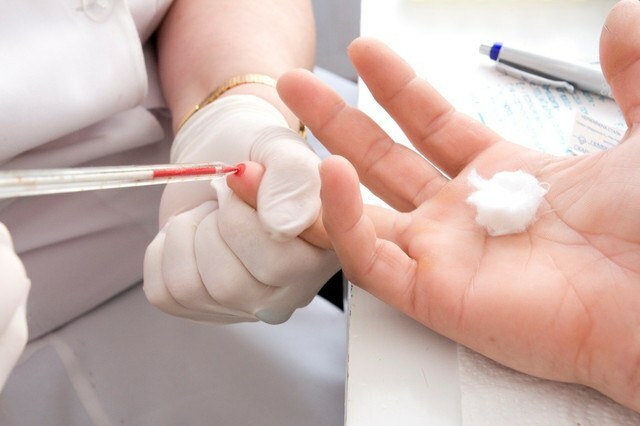 Tests to determine the level of sugarin the blood quite a lot: fence of a blood from a finger, from a vein with glucose load and without load, analysis of glycated hemoglobin. Indicators of sugarin the blood: 3,3–5,5 mmol/l is normal (regardless of age); 5,5–6,0 mmol/l and prediabetes; 6.1 mmol/l and higher – sugarhydrated diabetes. All these parameters are determined by sampling blood from a finger (on an empty stomach). When taking blood for sugar from Vienna, the figures of his (fasting) a few others, so the norm is about 10-12% higher (up to 6.1 mmol/l). Diagnostic indicator for sugartion of diabetes is the value of sugarin blood above 7.0 mmol/L. In laboratory diagnosis for determination of sugarin blood apply another method is the rapid method. The results of the rapid method are considered preliminary, they are less accurate than a study performed on modern laboratory equipment. Therefore, when the detected deviation from the norm, you should retake the analysis of blood on sugar in the clinical diagnostic laboratory. There is another test that is diagnosed sugarNY diabetes patient: sample from "sugarNoah load" or glucose. First, in laboratory conditions, determined by the level of sugarin blood fasting (withdrawing blood from the vein, then the patient receives 75 grams of glucose syrup (1.75 mg/kg for children), and after 2 hours re-analysis of blood. There are the following options: to 7.8 mmol/l is normal value; 7,8-11,0 mmol/l – the condition of pre-diabetes; more than 11.1 mmol/l – diagnosis of sugartion of diabetes. Before the test you can eat, but in the break between the first and second analysis can not eat, drink or smoke; also restricted physical exercise, undesirable to walk, lie down or sleep on the bed – all of which can affect the quality of the research results. Laboratory tests for sugar is held against normal power mode, no need to follow a special diet, give up sweets. Not should study blood for sugar on the background of acute diseases, injuries and other conditions. Blood sugar is an important study which is applied to disorders of carbohydrate metabolism and the diagnosis of diabetes mellitus. The most vivid and the main symptom of high blood sugar in blood is polyuria. This increased excretion of urine, which is caused by the increased osmotic pressure of urine, because it dissolves glucose (normally no glucose in urine). 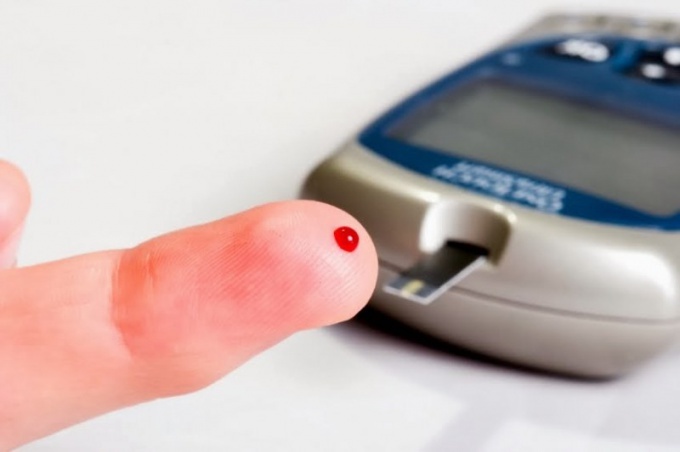 Blood sugar is an important method for diagnosis of diseases and pathological conditions, like diabetes, attack feohromotsitomy, hypoglycemic and hyperglycemic state and others. The rate of blood sugar. Normal levels of sugar the blood is its content in capillary blood 3,3 – 5,5 mmol / L. blood from a vein (venous) upper limit of normal is 6.1 mmol / l.
Sugar curve, or glucose tolerance test is an important diagnostic procedure, which is often prescribed to pregnant women for the detection of latent diabetes mellitus and metabolic studies. Test sugar curve is held at the end of the second trimester of pregnancy to identify the presence or absence of glucose tolerance. The test is administered to all expectant mothers a woman takes it only if the doctor suspects a latent diabetes or any violations of metabolic processes. To test showed correct results, you must carefully observe the rules of preparation for the tests. For 6-8 hours prior to blood sampling is necessary to refrain from any food. The day before the test should limit the use of foods rich in simple carbohydrates (sugar, sweet fruit, pastry). It is necessary to abandon soft drinks and coffee, as caffeine affects the level of glucose in the blood. Also very important to avoid stressful situations before the test. Fear, excitement, nervous and physical strain can all affect the results of the analysis. Per day blood need to relax and keep calm as possible. If the patient is using hormonal drugs (estrogen, corticosteroids and others), you must notify the doctor. Drugs containing hormones affect glucose levels and can alter the test results. Before the test can determine the level of glucose in the blood without load. For this the patient on an empty stomach take blood from the finger, followed by rapid analysis. If the rate of glucose is exceeded, the test may not be possible. In this case, the patient should follow the doctor's recommendations for lowering the level of glucose in the blood, and then re-appear for tests after 7-10 days. If the indicators are within normal limits, held the first test without the sugar load. The patient take blood from a vein, followed by a specially prepared sweet drink liquid – 100 ml glucose solution. The solution is to drink completely. An hour after reception of glucose being re test with a load. To ensure that the results were correct, within the hour you should not overwork and to perform active physical activities, eat, drink, medications, tea and coffee. After repeated blood sampling from a vein the patient is still a one hour break. An hour later, the third blood sampling. Glucose tolerance test is safe, does not cause discomfort and painful sensations. 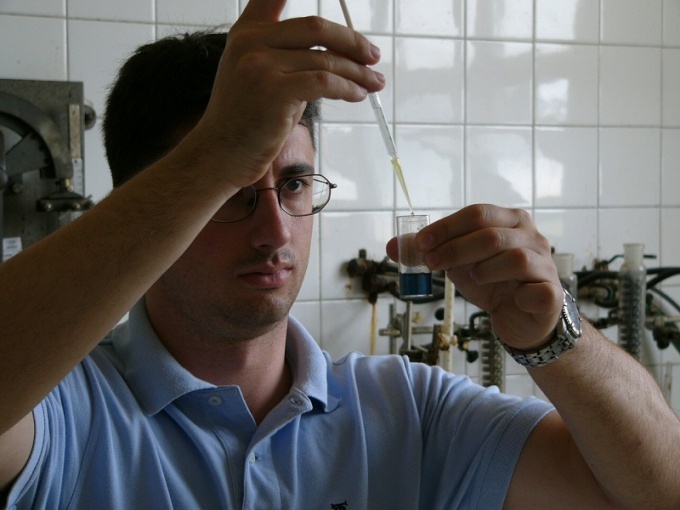 The test day is best to get rid of any proceedings, since all the sample is at least three hours. The test result decrypts the attending physician. Advice 4 : What makes the analysis of the "sugar curve"